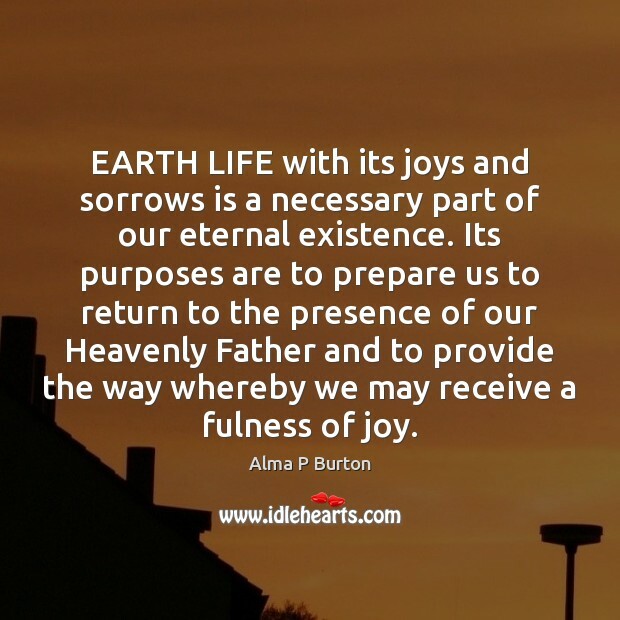 Enjoy the best inspirational, motivational, positive, funny and famous quotes by Alma P Burton. Use words and picture quotations to push forward and inspire you keep going in life! Even the Savior of the world, the Only Begotten Son of God, was obliged to come to earth and to take upon himself an earthly tabernacle. He experienced joy and sorrow, happiness and grief, lasting satisfaction and frequent disappointments. 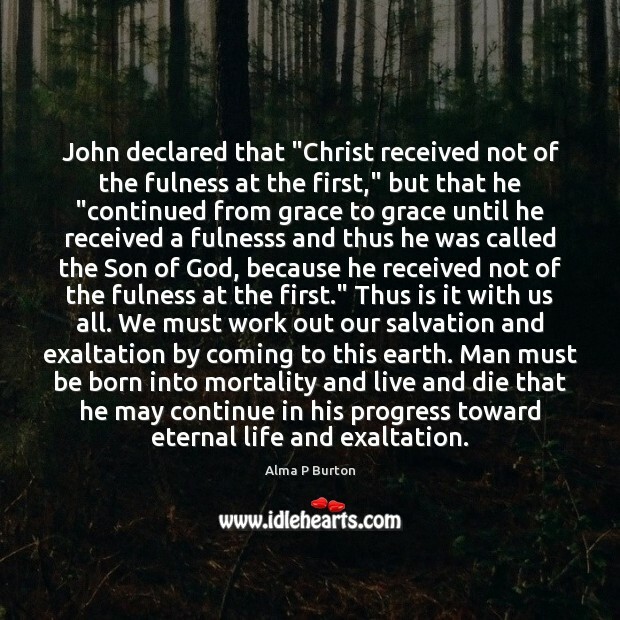 As Paul has written, "Though he were a Son yet learned he obedience by the things which he suffered; and being made perfect, he became the author of eternal salvation unto all them that obey him."